So you have Windows 7 installed and you want to dual boot Linux, well I will be showing you how. 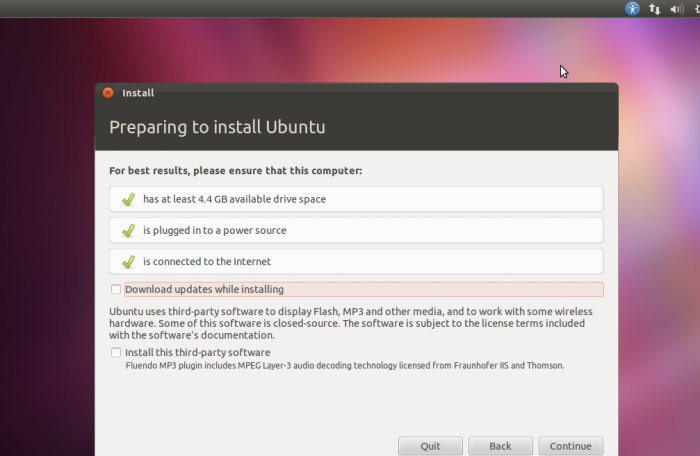 The distribution I will be dual booting with is Ubuntu since it is the most commonly used. 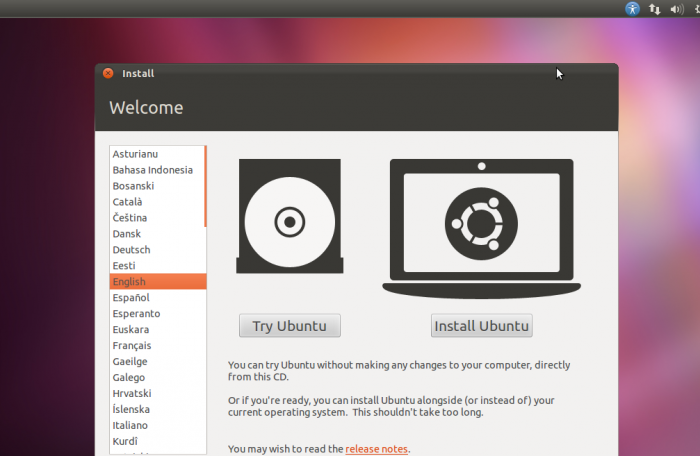 Go ahead and click install ubuntu. After doing so the next thing you will get is the preparing screen as seen below. Go ahead and just click continue. Now you should get a installation type screen. Here is the most important step to dual booting. If you already have windows installed it should detect it and give you a screen like the one below. 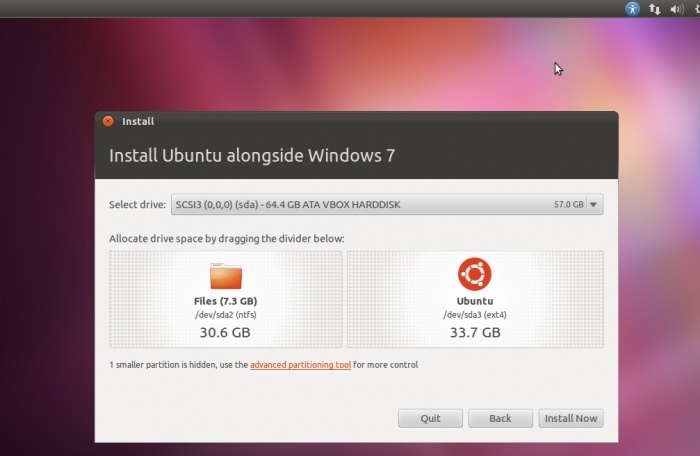 You should choose the install ubuntu alongside windows,then click continue.Now you will have a screen to allow you to choose the size of the partitions. As seen below. From here you choose the size you want each to be and then click continue. The installation will then begin and do the rest for you. All you have to do is wait until it is finished. After rebooting you will be asked to enter the usual information like username and password and it will finish installing. So there is how you dual boot Windows 7 and Ubuntu I hope this guide helps anyone out there wanting to dual boot Windows 7 and Ubuntu.